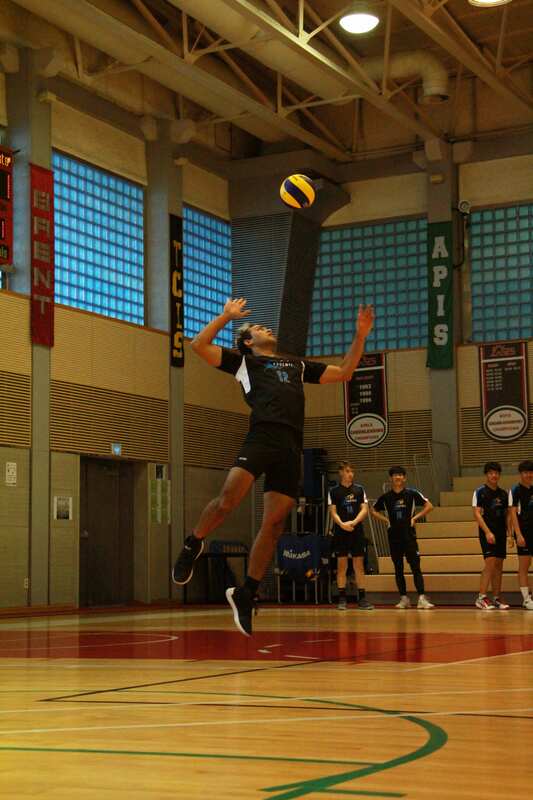 In 2018, the Varsity Boys Volleyball team had a historic year culminating with the Asia Pacific Activities Conference (APAC) trip hosted by Seoul Foreign School in Korea. This year, we entered the season with last season’s disappointment weighing on our shoulders, but we had a strong foundation of returners with APAC experience under our belts. With the culture change felt across our sports programme and the positive vibe from the team, we entered each game with confidence, no longer allowing the mentality of being okay to lose in our heads. 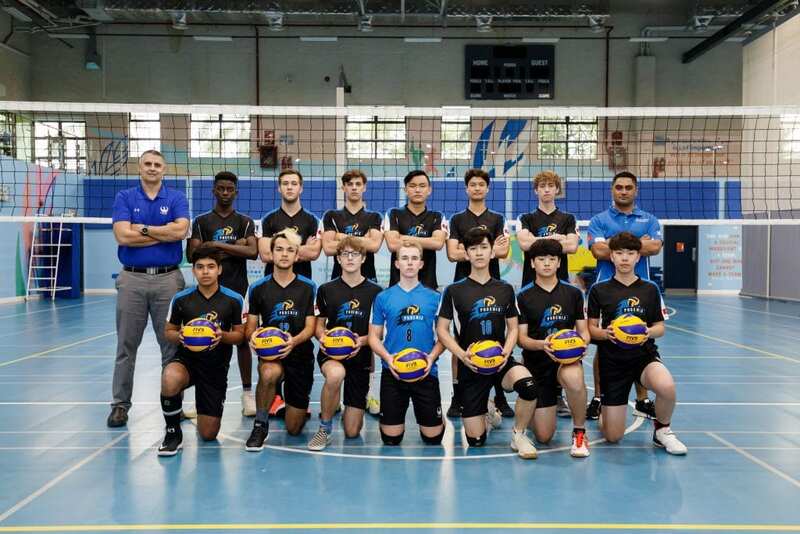 Our school arranged for ex Olympic volleyball player and coach, David McKienzie, to start off our year with a 3 day-intensive camp for coaches and players. This start became the spark which would last us through to the end of the season. The opportunity brought forth new and old players alike, and we became more aware of the potential of this cohort. Practices were very difficult at times. We were each dealing with our own problems, whether it be college applications, a broken leg, or the usual teenage pains, but at volleyball practices we found escape in the strenuous rope jumps and suicide runs up and down the court. Here, at least, we could all suffer together, and laugh at Lenny for breaking his leg prematurely from a motorbike accident. And Mo’s horrendous tipping. Never again, Mo. Local league games started the second week of the season, and we ripped through the Hanoi Activities Conference (HAC) schedule, going undefeated and winning both the HAC Championship and the HAC Cup. As it turned out, our second team was the second best team in Hanoi, and proved as such winning the HAC Cup with the starters supporting from the sideline. Before we knew it, APAC came around, and Jacob was late to the airport. We rode the bus to the airport with the excitement of ninety year olds, because it was 7:30 in the morning. However, with our bags stuffed with our jerseys and Haribos, we were ready to play and put all our hard work to the test. 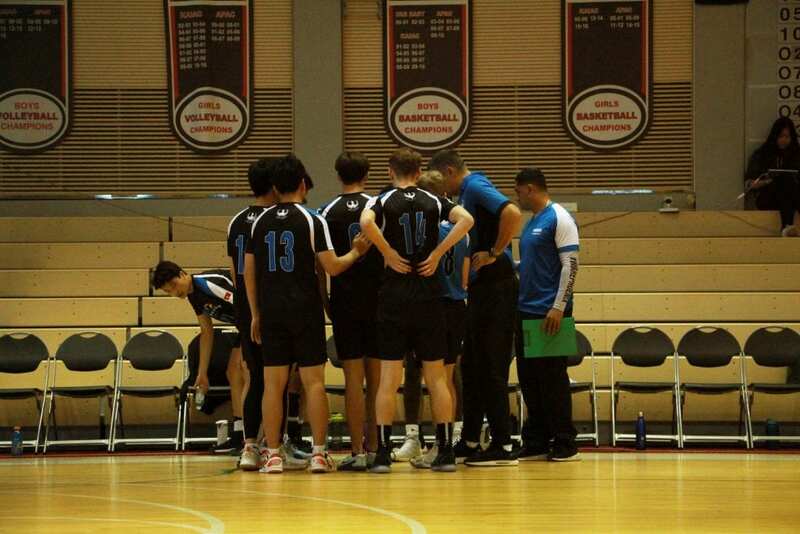 Game day came, and we started off the tournament with our first win against Western Academy of Beijing (WAB), which we would later face in the finals. We fought through the grueling round robin portion of the tournament, earning the first seed, and the boys lost it. We were in the semifinals. UNIS Hanoi team in the semifinals, what even?! Prior to our game against Canadian Academy, a few jerseys were wet, a few muscles worn out, but our spirits were stronger than ever. We sat around on the soccer pitch outside the gymnasium, and in this moment, we saw the culminating point of our team. Here was a squad of boys who played their hearts out on the court, and this would carry us to the finals after a 3-1 win over Canadian Academy. Finals baby. Lenny brought it down with the first hit of the finals, and with that, we pulled the first set off 25-21. With our gears cranking and motions in place, we won the second set as well, albeit at a smaller deficit of 25-22. Struggling to maintain our fire, we slipped on the third set, losing it 19-25. However, undeterred, we brought back our A-game, proving difficult for WAB. We were going 1 point back and forth, and before we knew it, it was 24-24. With an influx of emotions and stress pervading our mind, we dug to our roots, clutching our ears, whispering Woo Sa, and we clinched the next point, making it 25-24. And perhaps the most memorable moment is when Charlie served the ball for the final point and ran in to play defense, Mo and Richard put up and intimidating block that forced the WAB middle attacker to push the ball out of bounds, giving us the 2018 APAC Championship. The celebrations were intense and all over the place, tears of joy, shouts of pride, and support from our amazing girls’ team took over the gym. Finally, APAC Champions! This season’s success would not have been possible without our coaches, Coach Tarique and Coach Boy. You guys pushed us to our limits with your dated jokes and back to the basic drills which frustrated us, but we all secretly knew it was for our own good (“Starts with a pass”). We credit this success to you. A special shout out to former players Yoav and Jake, we take this moment to thank them for their continued positivity and transformative effect on UNIS Hanoi sports culture. We also want to thank all our previous coaches and everyone who was a part of this journey, with special thanks to Coach Mac for setting the foundation and for Coach Giller for her passion and enthusiasm in providing opportunities in the off season to get better. We are very proud of the special place this team will hold in the UNIS Hanoi history books. First APAC championship of any kind for our school. Keep it rolling – GO PHOENIX! 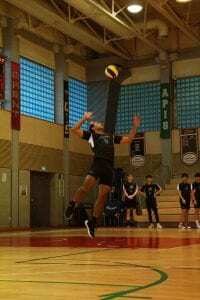 This entry was posted in Volleyball by communications. Bookmark the permalink.